* As there are some pre-production cars with unknown details that could be LV4, the exact number is unknown. Brochure scan provided by Raj MrFijiGold. 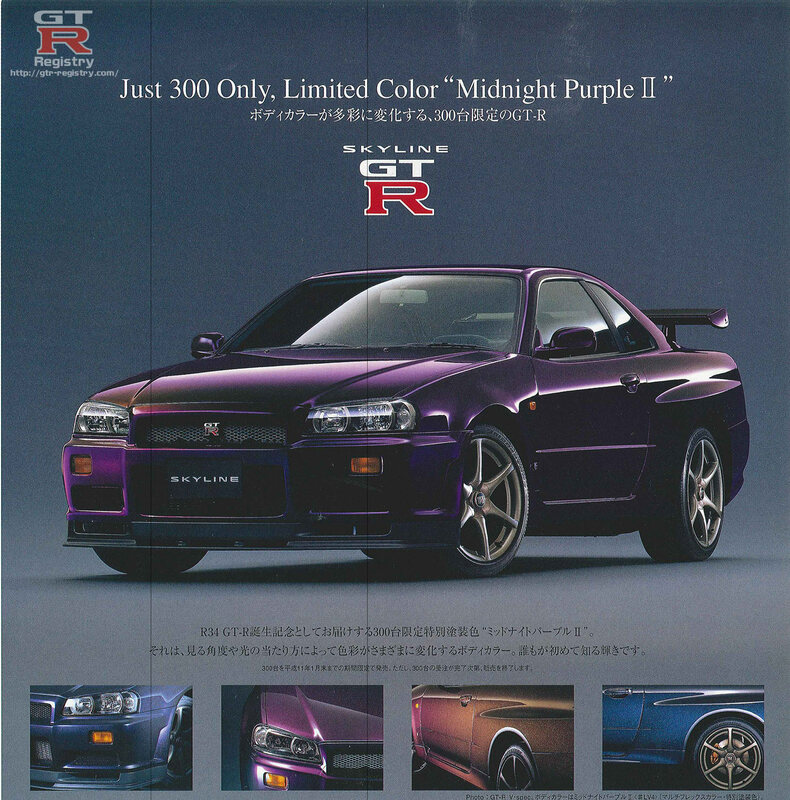 Midnight Purple 2 V-Specs are the only R34 GTR available for import to USA at the moment. The reason for this is that these particular cars are the only one that have been approved on the USA Show and Display Exemption. Click here (PDF) for the list of eligible vehicles. 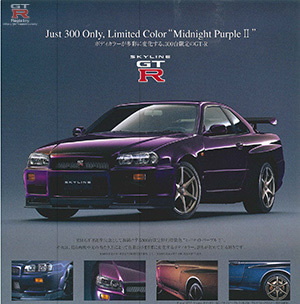 The vehicle is noted as the "Nissan Skyline GTR R34 V-SPEC Early Model Limited Edition". Cars imported under this scheme are permitted to travel up to 2500 miles per year. * When they turn 25 years old, they will automatically become eligible as a fully imported vehicle with no restrictions. There are only 282 known Midnight Purple II V-Specs which qualify for this exemption. * Additional emissions testing is required for Californian registration.